The mission of SpiceJet (SG) is to be preferred the low-cost airline in India. It is found in 2005 and situated in Gurgaon. It is the third largest airline in the country by the number of domestic passengers carried. Its primary hubs are Chennai International Airport (MAA), Indira Gandhi International Airport (DEL) and Rajiv Gandhi International Airport (HYD). And the secondary hub is Chhatrapati Shivaji International Airport (BOM). 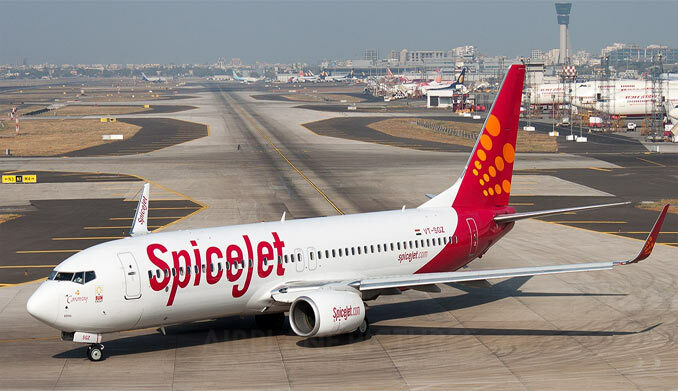 SpiceJet operates 45 to the domestic and 10 to the international destinations like Afghanistan, Nepal, Sri Lanka, Thailand, the United Arab Emirates and others. Each aircraft is configured with a single Economy Class cabin. The airline operates a fleet of Boeing 737 and Bombardier Dash aircraft. Here we are discussing the Spicejet baggage policy which includes all the rules regarding the carrying of checked and hand baggage. Passengers can enjoy free checked baggage allowance. It is based on the weight system and the route. There is no limit to the number of bags as per the SpiceJet baggage limit, but a single bag must not exceed 32 kg. Talking about SpiceJet extra baggage charges, a fee of around INR 250 per kg per sector is charged. In case of Special Baggage, an additional fee of INR 1,000 per piece needs to be paid at the airport. The airline will charge a fee of INR 250 per kg for any extra weight. Passengers are allowed to carry one piece of baggage with a maximum weight of 7 Kg and maximum dimensions depending on the type of aircraft operating the flights. Total of 115 cm i.e. (55 cm + 35 cm + 25 cm) (L+W+H) for Boeing flights. Total of 108 cm i.e. (50 cm + 35 cm + 23 cm) (L+W+H) for Bombardier flights. The passengers are allowed to carry complementary small personal items with them which includes stuff like ladies purse or handbag, laptop computer, an overcoat wrap or blanket, an umbrella, a small camera, a book, instant food and more as per the hand baggage allowance. Passengers traveling on international flights may carry alcohol if purchased from Duty-Free shops. Passengers arriving from an international flight and connecting to a domestic flight will not be permitted to carry liquids more than 100 ml as per the hand baggage rules. Talking about the sports equipment, the airline charges a fee of Rs. 500 per piece of sports equipment; if it is less than 12 Kg. Items whose weight is more than 12 Kg, that are considered as excess baggage. For excess baggage, a fee of Rs. 80 per kg is charged. As per the SpiceJet baggage allowance, the things included in special baggage are sporting and skiing equipment, musical instruments, LCD and LED TV (more than 39 inches size) and other large items like that. All this will form a part of check-in baggage and will carry a handling charge. For domestic flights, the charge is Rs 1000 per item. Maximum of 2 LCD/LED TVs are accepted as checked-in baggage. No LCD/LED TV more than 55 inches in size is acceptable. The size must be below 55 inches in size. In case, your baggage is lost; you need to notify SpiceJet’s Passenger Services Officers upon arrival. If your baggage is not found within 7 days, then the airline will provide the lost baggage compensation i.e. around INR 200 per kg and up to a maximum limit of INR 3000 for domestic travel. The Web check-in facility is an excellent feature that can save your precious time. The all you have to do is check your ticket details and print the boarding pass. You can also select your preferred seat. Passengers can take one piece of carry-on baggage. No checked baggage is allowed when using web check-in. Passengers cannot use the online check-in for groups of more than 9 passengers. You may choose your seat at the time of booking and at time of web check-in. Check-in begins 2 hours and closes 45 minutes before the departure time. Arrive at the check-in counter at least two hours before the departure time. This will provide the in-flight services, Baggage allowance, and other entertainment options. As per the terms and conditions of SpiceJet, only children of 5 years and older must travel with an adult. Children aged between 5 and 12 years are only considered as Unaccompanied Minors and only those can enjoy the Unaccompanied Minor service. In the case of interline travel; the Unaccompanied Minor service is not available. Children below the age of 15 years must travel only if they are accompanied by a passenger above 18 years. Children whose age is between 12 and 16 years are considered as Young Passengers. They can travel alone but can’t take the responsibility of a minor. SpiceJet can only permit the carriage of live animals on the domestic flights if they are booked through cargo services. In addition to that, the carriage of pets on international routes is not permitted by the SpiceJet. The carriage of Guide Dogs on international routes is also not permitted as the airline does not have provisions for accommodating Guide Dogs on international flights. But guide dogs for visually impaired passengers are allowed on domestic flights. SpiceJet does not permit the carriage of animals in the cabins on its flights. However, it will allow dogs, cats, and other domesticated animals to be carried as freight. A separate seat will not be provided for an infant. Infants do not qualify for a free checked baggage allowance. SpiceJet requires proof of age i.e. infant’s passport or valid ID. No baby car seats or pushchairs are allowed in the aircraft cabin. A child up to two years old (24 months) is charged a fee of Rs. 525 plus the government PSF of Rs. 225 if he or she will be sitting on an adult’s lap. Passengers traveling with infants are allowed an additional piece of hand baggage of maximum 7 kg. The availability of infant amenities varies by aircraft. Student flying through the SpiceJet flight will get up to 8% discount on base fare on all bookings made through the official website of the airline or through the Reservations Helpline. Plus, the passenger needs to belong to a recognized university. This offer is available only on SpiceJet Domestic network. Along with that, the students will also entitle for an additional baggage allowance of 10 kg under this scheme. SpiceJet baggage allowance for students is valid for those whose age is more than 12 years and they also need a valid ID proof from any bonafide school or university. The Indian Armed forces can enjoy up to 50% discount on base fare. The passenger service fee and the relevant airport charges will be applicable for the booking. The discount of up to 50% shall be reduced to the extent of any other promotional scheme. These fares also have restrictions in regards to change or cancellation of the policy. SpiceJet is a low-cost airline and meals are not included in the fare. SpiceJet also provides the snacks and beverages in the selected longer duration flights, but you have to pay for them in cash on the flight. You can also buy Vegetarian and Non-vegetarian Snacks, Fruit juices, refreshments, etc. on the flight. Buy your snacks as soon as they are offered on the flight because the sandwiches are loaded in limited quantity on the flight and may be sold out before the air hostess reaches your seat. As it was Diwali day, huge rush at the check-in counter, but the agents were managing the counters very efficiently. I was flying with Spicejet after close to 9 years, so was looking forward to the experience. Boarding was swift and without major issues. Seats cushioning was good but space was a constraint. As my ticket was a corporate one, the meal was included. I was served a full breakfast. It contained Idli, Vada, Uttapam, Sambhar, croissant, and butter. This was pretty heavy and I was impressed with the meal. They gave me a big cup of tea along with a large cookie. There was no end to the breakfast. I was hugely impressed with the service and the professionalism of the crew. I would definitely recommend Spicejet. My main aim to write this review is to thank the cabin crew with Spicejet for making my flight a memorable one. They are a very friendly host on board. A simple personalized greeting to a people of a particular region, or just a generous compliment all these go a long way in making someone’s day. Keep it up! I flew with SpiceJet from Mangalore to Mumbai. I bagged tickets on sale which was very cheap. The check-in took some time but I was given a window seat (on request). Boarding was systematic even though the flight had 95% occupancy. The flight was on time. The cabin was a bit smelly but the legroom was pretty good for a one and a half hour flight. Cabin crew was okay. The flight landed before scheduling at terminal 1B which I always like about SpiceJet. Overall, it was a good flight for the fare paid. I had a wonderful experience. I was very nervous as it was my first flight. The cabin crew was very polite and cooperative and they helped me getting stable. The meal was really good. I will travel again and recommend it to others for sure.